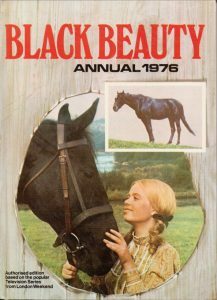 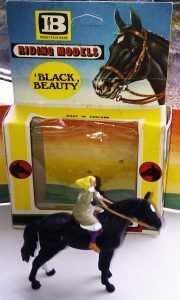 Black Beauty Annuals were a dream of bliss for anyone who ever loved the television series. 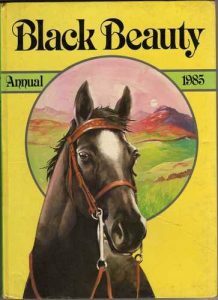 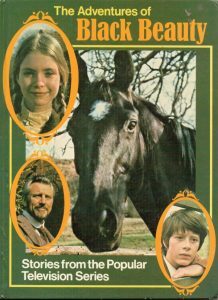 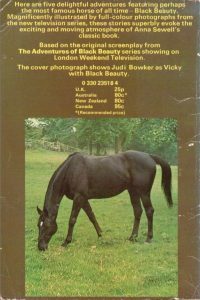 The first book, The Adventures of Black Beauty, is a collection of stories rather than an actual annual, and features the girl I wanted to be, Vicky, played by Judi Bowker. 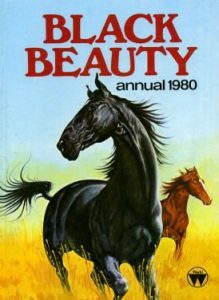 She was tall, beautiful and blonde, and she had the most amazing black horse. 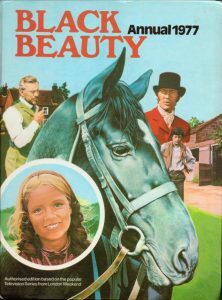 I was none of those things, and I had no horse, but I dreamed, and the first notes of the theme music spirit me straight back to being a gawky, horse-obsessed ten year old. 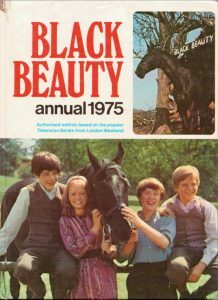 Judi Bowker was replaced by Stacey Dorning, who played Jenny, and who is shown on the covers of the annuals from 1974–1977. 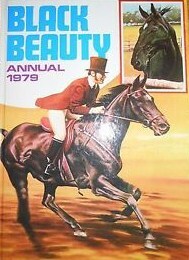 The last two annuals (1980 and 1985) no longer showed photos of the cast on the covers. 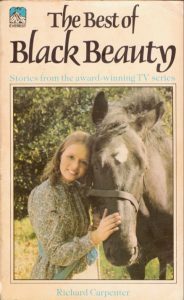 I have never actually had my hands on either of them, so don’t know if they sprang from the television series, or whether they were simply based on the original book. 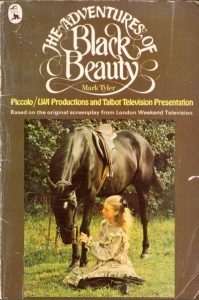 The television series itself was billed as a continuation of Anna Sewell’s book, rather than as being taken from it, which gave its creators scope to transform Black Beauty into a sort of late Victorian wonder horse. 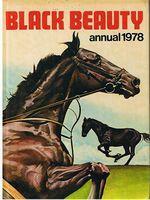 Many thanks to Cressida for all her help with the photographs.